Investment Casting Services at Eagle Precision Cast Parts, Inc.
Eagle Precision’s investment casting services cover the entire investment casting process, from concept to completion. Our management team routinely works with customers early in the design stages on projects, providing our expert casting and machining advice to ensure parts are designed for manufacturability. The outcome is a part that performs to the standards our customers require and is produced as cost effectively as possible. It is true value engineering (VE). Eagle Precision Cast Parts pours numerous ferrous and non-ferrous grades alloys. Feel free to browse our current list of alloys poured, and contact us should you have any other materials that you may be interested in us producing for you! Eagle Precision takes pride in providing up-front expert engineering support as part of our inclusive investment casting services. Our robust Advanced Product Quality Planning (APQP) process enables us to learn the product and application requirements of each part to provide product that meets or exceeds customer expectations. The APQP process also includes a detailed review of the investment casting design which allows Eagle Precision to help reduce the risk of overlooking potential issues related to the many variables involved in producing a high-quality investment casting. The utilization of 3-D Solidification Simulation software to evaluate potential gating schemes for new or existing investment castings results in a reduced number of sampling trials, thus providing sound first-article castings in a more timely manner. The relationships Eagle Precision has developed with our high-quality supply base also result in expanded expertise in material properties, heat treatment, machining, coating, and non-destructive testing. If we don’t have an answer to design or application related questions, we have the resources to get the correct answers quickly! 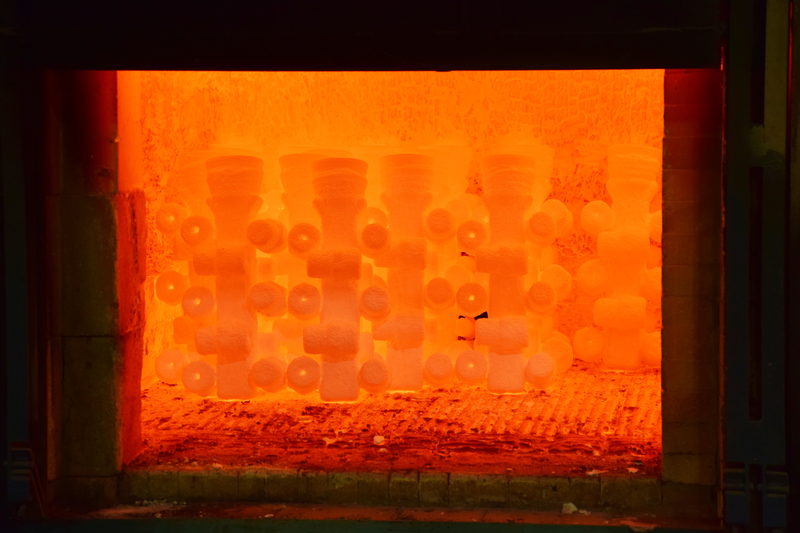 Before getting started, review our Investment Casting design suggestions for your next project. 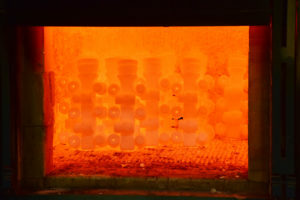 Our investment casting design guide will give you the knowledge you need to get started on your new investment casting project. If you have more questions feel free to contact us for ore information! Eagle Precision has many options for measuring and confirming products dimensional requirements. We often rely on time-tested measurement equipment such as micrometers, height gages, pin gages, and specifically designed go/no-go gages to confirm dimensional requirements on critical features and dimensions on production parts. Knowledge and experience with Coordinate Measuring Machine (CMM) programming allows us to easily measure nearly any feature of investment castings to within +/- 0.0005″. We utilize a Brown and Sharpe CMM with PC-DMIS to program and measure up to sixty pieces in an hour for accurate and detailed capability studies which can be provided on critical dimensions for PPAP’s. Eagle Precision also utilizes a high resolution Creaform Exascan 3-Dimensional laser scanner to measure and confirm product dimensions on first articles to within +/-0.0008″. The scanner can also be utilized if trouble-shooting or reverse-engineering assistance is required. Utilizing Geomagic Verify with the scan data allows us to conduct inspection of critical features, and also allows us to directly compare all of the investment casting’s features to the original solid model design to easily identify inconsistencies in the final product that may be detrimental to the product’s application. At Eagle Precision Cast Parts, our investment casting services include the full production path. We supply turn-key assembly services for castings, machined castings/components, and hardware which results in full or partial assemblies arriving at our customer’s facilities ready to be sold to the end user. Contact us today for your next casting assembly project!